(from left) Jessica Osborne, Emma Sievwright, Raeesa Ally Khatree, Max Fetiveau and Barb Dunn. 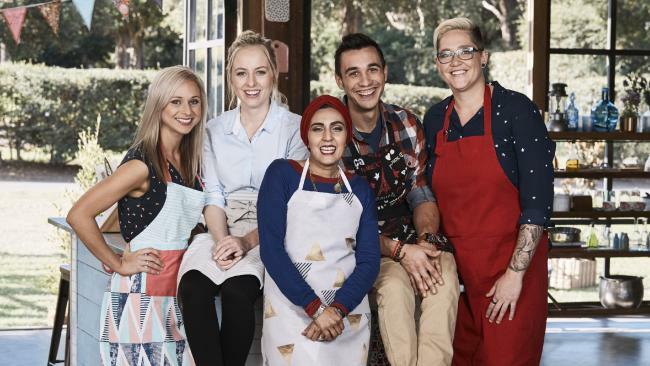 THE new batch of Queensland contestants for Foxtel�s The Great Australian Bake Off is anything but cookie-cutter. 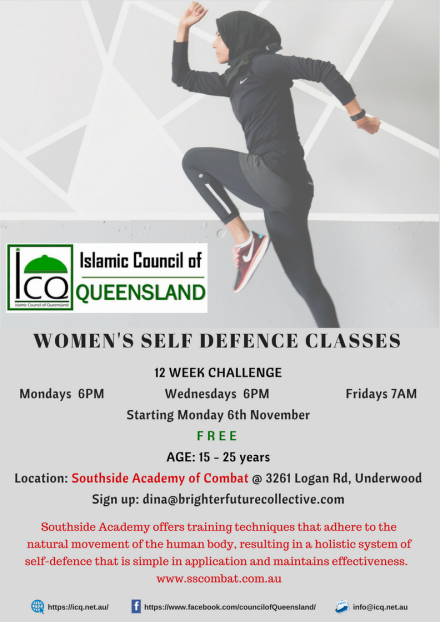 Almost half of the 12 contestants on the third season are from Brisbane, including a French 100m sprinter, a former lawyer, a representative women�s soccer player, a science graduate and a business development manager who used to exhibit chickens. �It�s been fantastic � for me the best season of all,� judge Maggie Beer said. Fellow judge Matt Moran agreed that the third season had the most talented bakers they had seen. 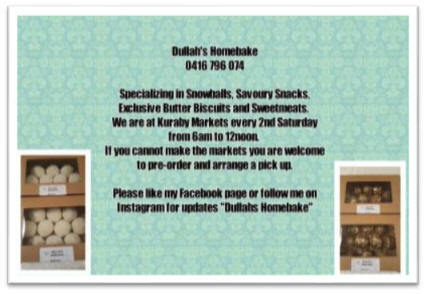 �The first bakes this year I just thought, wow these guys are good,� he said. The contestants include Max Fetiveau, 28, who raced the 100m sprint professionally in France before moving to Brisbane, where he works as a plasterer. Barb Dunn, 37, is a corporate manager who started baking through her experience exhibiting chickens at local shows. Mother of two Raeesa Ally Khatree, originally from South Africa, ditched her job as a lawyer to work at a health food store. Jessica Osborne, 28, is a representative soccer player for Queensland who also works as a sales co-ordinator for a male-dominated earthmoving and machinery company and Emma Sievwright, 23, is a recent science degree graduate. The third season of The Great Australian Bake Off airs on Foxtel�s Lifestyle channel on January 18. ANIC Strongly Condemns and Rejects the Recognition of the Holy Land Jerusalem as an Israeli Capital City. The Australian National Imams Council (ANIC) and the Australian Muslim Community strongly condemn and reject the American President, Donald Trump�s and the United States recent recognition of the holy land Jerusalem in Palestine as an Israeli capital city. Such a move is ill-thought, reckless and unwarranted and should not be supported by the Australian government nor any other governments. This recognition of Jerusalem as the capital of Israel is also in breach of all international laws and the Peace agreements that the United States has been a part of. The recognition of Jerusalem as the capital city of Israel will only contribute to further complications to the Israeli Palestinian conflict while fuelling further violence and instability in the region. Undoubtedly, this will be unhelpful in terms of prospects for peace in the region. 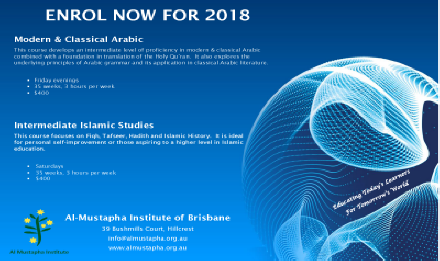 The Australian National Imams Council (ANIC) is extremely concerned over this recognition and the change of the status quo of Jerusalem and the repercussions of it globally. ANIC calls upon the international community and the Australian government to take swift actions in rejecting this recognition and further actions in bringing an end to the Israeli Palestinian conflict through a just and non-biased approach. The Australian Federation of Islamic Councils (AFIC) condemns the announcement of the Trump Administration overnight to recognise the Holy City of Jerusalem as the capital of Israel. The effectiveness of global diplomatic efforts is completely undermined when nations such as the United States show such obvious contempt and scorn for resolutions of the UN and efforts by other nations to find peaceful paths to resolving these disputes. AFIC is concerned as to the precedent that this sets and the possible repercussions that may result and calls on all nations to stand firm for justice and oppose the position that the Trump Administration has outlined. AFIC calls on the Australian government to come out clearly in its opposition to such an announcement and assure the Palestinian people that they are not being abandoned once again by the nations of the world. 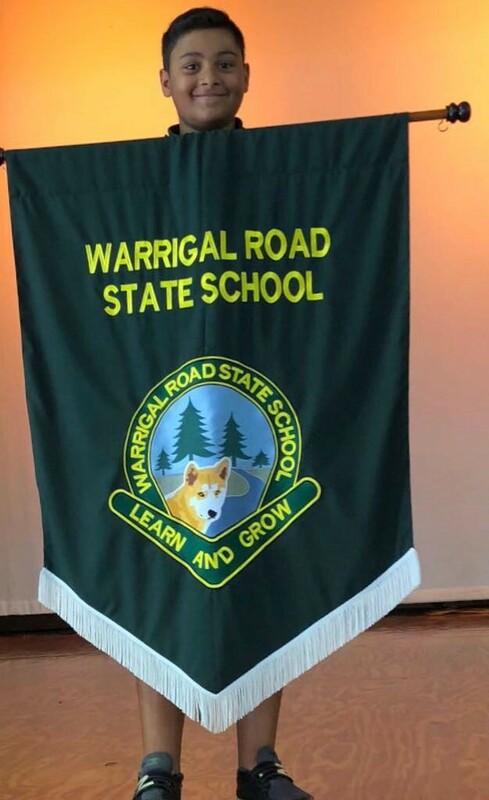 Muhammad Ameer Akbar was elected the 2018 School Captain at Brisbane's Warrigal Road State School. 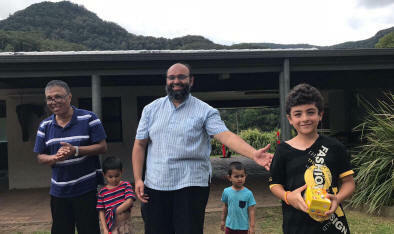 "Muhammad Ameer has made the most of the privileges offered to children his age by the Australian education system," his proud mother, Dr Shahana Abed, told CCN. 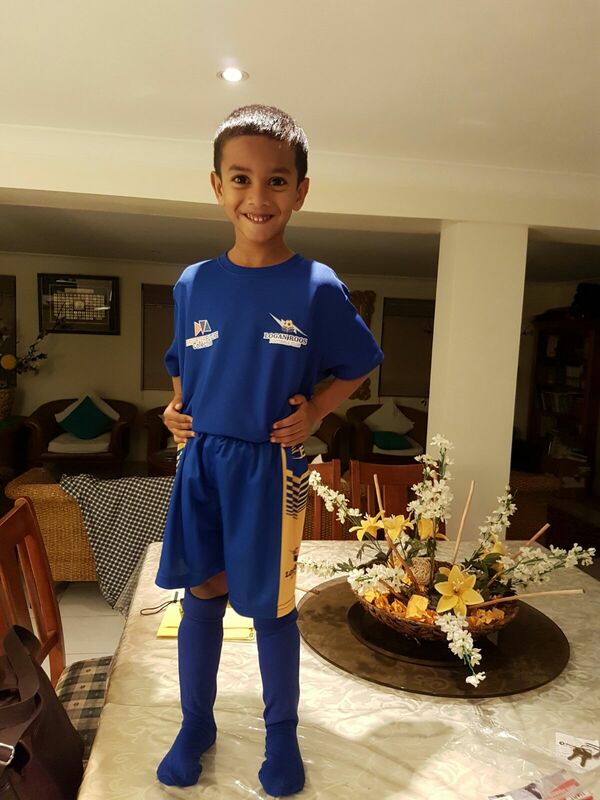 Following in his parent�s footsteps, Muhammad Ameer is already keen on pursuing a career in the health sciences. CCN congratulates Muhammad Ameer on his achievement and wish him well in his future endeavours. 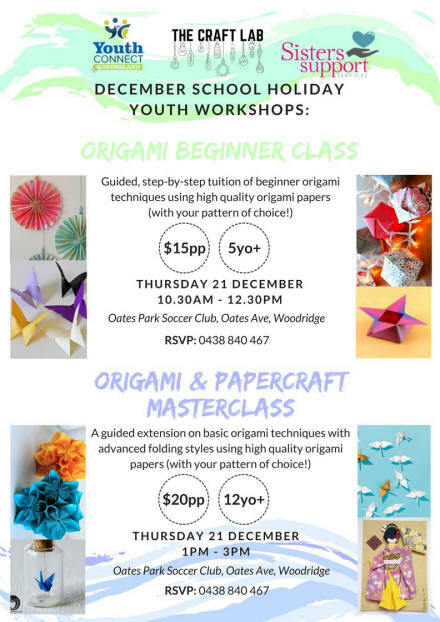 On Sunday 3rd December, following on from the success of the SBS series, The Mosque Next Door, the Holland Park Mosque, with the support of the Islamic Council of Queensland, opened it�s doors to welcome the Australian public. 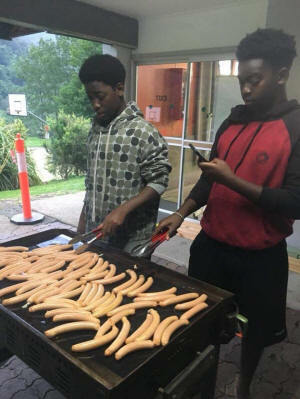 With over two hundred non-Muslim attendees, the BBQ Open day was a great success. Imam Uzair Akbar and Br. Ali Kadri answered a wide range of questions relating to Islam and Muslims. 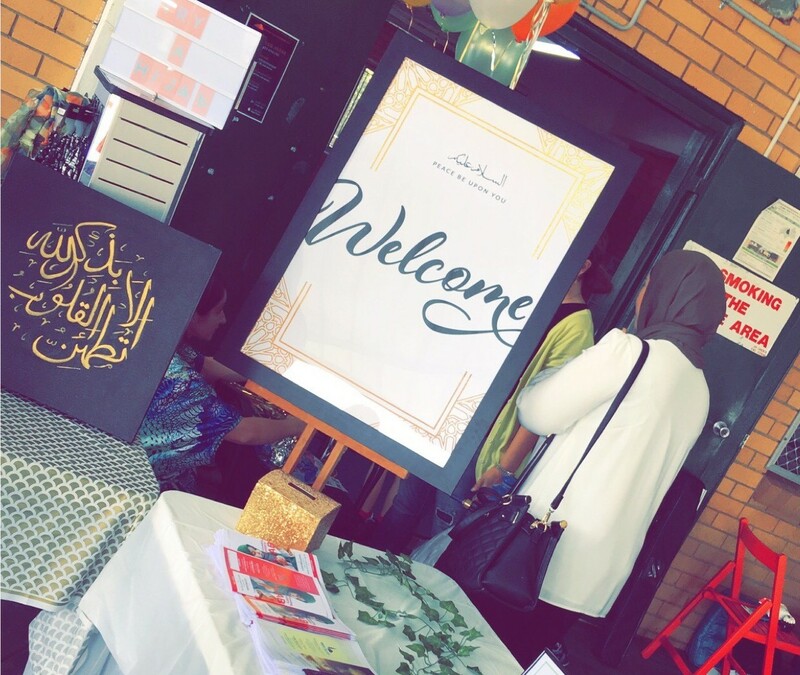 Free henna art, arabic calligraphy, hijab tutorials and face-painting for kids were some of the few activities prepared by generous volunteers from the Holland Park Mosque community. Volunteers also worked tirelessly preparing a delicious BBQ against the 34 degree heat of the day. 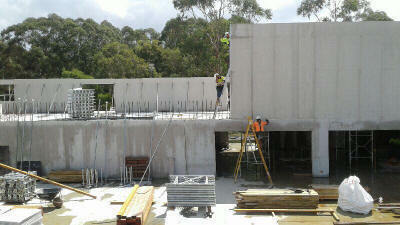 Pleasing feedback at the end of the day ensured the hard work was worth it. 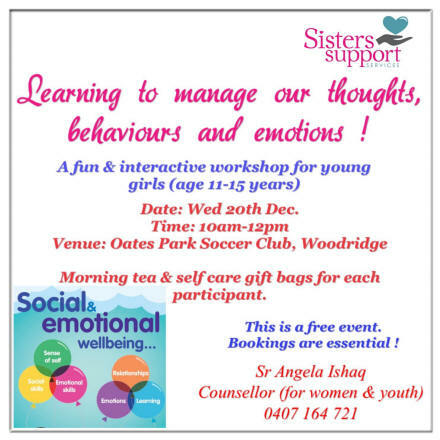 Attendees who travelled from as far as Dalby and Sunshine Coast expressed gratitude and positive experiences on social media. 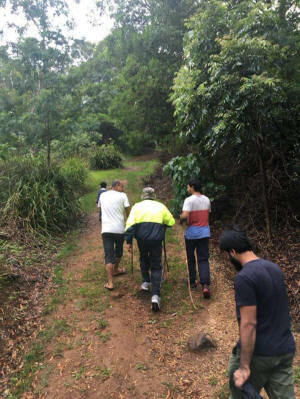 "(In the) first one we did around 5 years ago we were struggling to get Muslims to participate but the support from the community has been overwhelming. 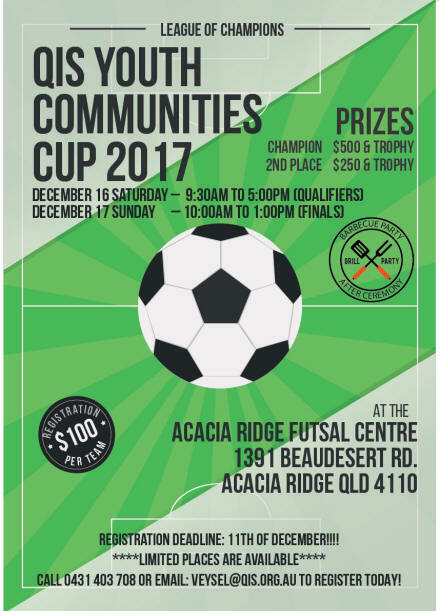 It seems to me that the vision we set to bring people together is catching on and I am confident that we will win over the hatred and division at least in Queensland if not globally." 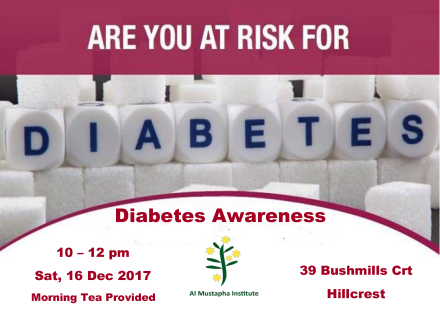 For more information on upcoming events, like the �Islamic Council of Queensland� and �Holland Park Mosque� Facebook pages. 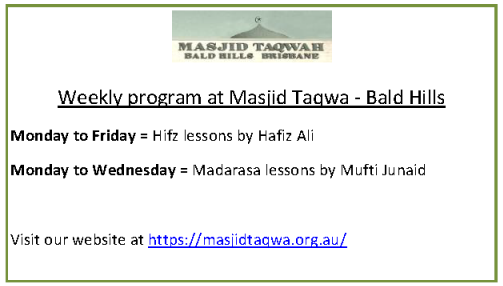 Additionally, SMS your name and email to 0437 569 960 and receive updates on community events. 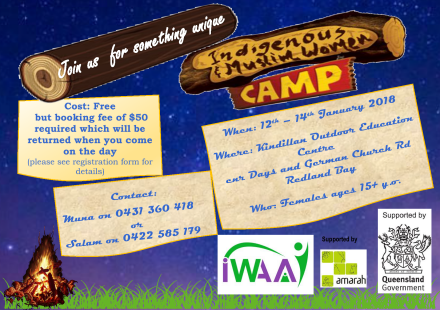 On the 2nd and 3rd December, Islamic Practice & Dawah Circle Queensland hosted its annual Youth & Family Camp at the Bornhoffen PCYC Camp. 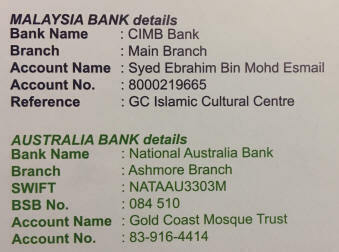 Sponsorship was received from the Islamic Council of Queensland & MCCA. The 160 participants, including brothers, sisters and children, enjoyed activities such as cricket, football, basketball, fun games, hiking sightseeing and swimming. There was also various competition for the children and youth. 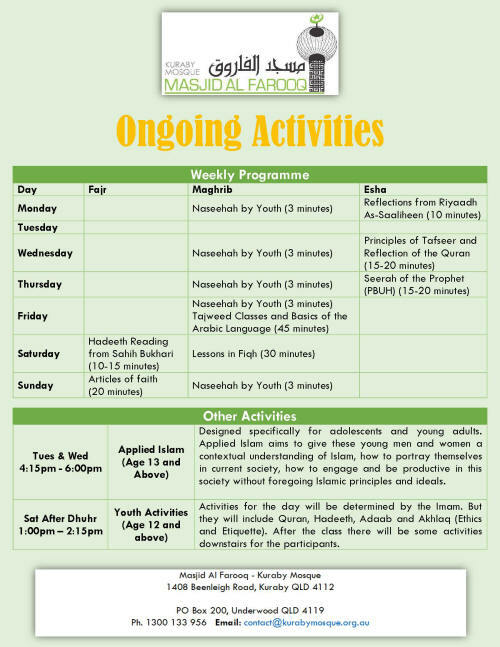 Key lectures were delivered by Imam Akram Buksh and Imam Mosaad Issa. 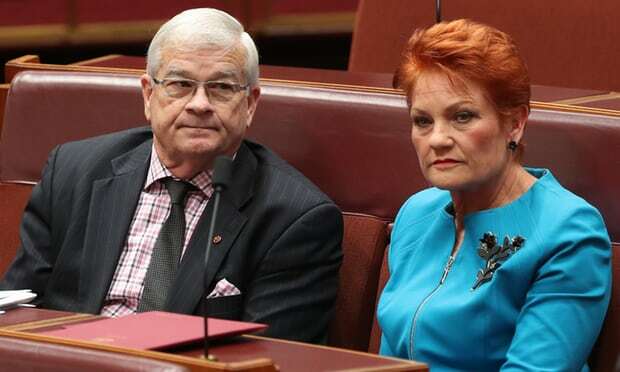 One Nation senators Brian Burston and Pauline Hanson. Burston sent letters to NSW schools last week claiming Islam is incompatible with the Australian way of life. 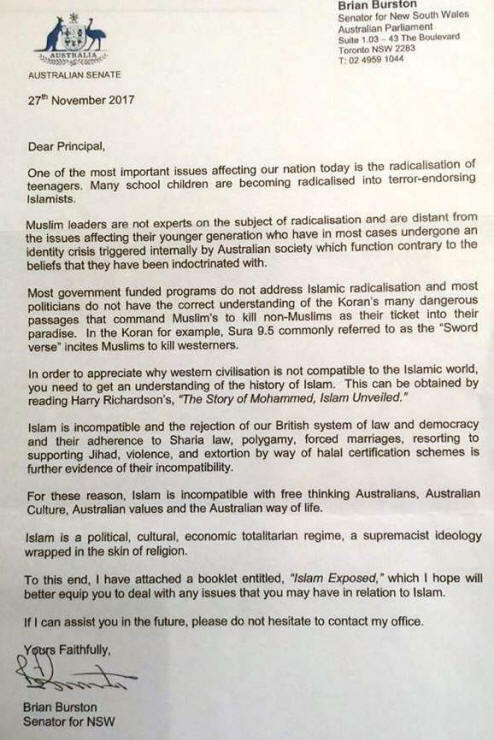 A One Nation senator is writing to school principals warning them their children risk turning into �terror-endorsing Islamists� whose religion compels them to kill westerners. The letters � sent on Senate letterhead with no mention of One Nation � have drawn immediate condemnation for inciting hatred, creating division and undermining the work of counter-terrorism and deradicalisation programs. A leading security and intelligence expert, John Blaxland, has warned it simply plays into the hands of terrorist groups such as Islamic State. �This is exactly what Daesh and Isis want to happen,� Blaxland said. �This is feeding into what they are doing, which is getting a vicious feedback loop happening. One Nation senator Brian Burston sent the letters to schools this week, attaching a brochure titled Islam Exposed. He says the government�s deradicalisation programs fail to understand that Islam commands its followers to �kill non-Muslims as their ticket into paradise�. 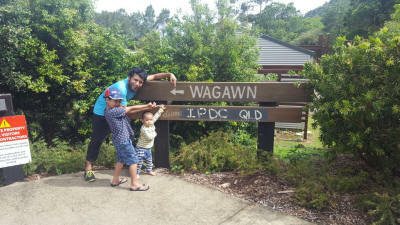 The letters came to the attention of Greens New South Wales MP Mehreen Faruqi, who recently won a preselection battle for the Senate at the next federal election. Faruqi said the letter painted a wildly inaccurate picture of Islam, which would be �almost comical if it wasn�t so dangerous�. �Most people would be horrified to know that their taxpayer money was being used to target one particular religious community, and spreading hatred, bigotry and fear of Muslims,� she said. This week, the United Nations committee on the elimination of racial discrimination raised concern about racism and Islamophobia in Australia, which was rising in �some quarters�. Islamophobia, it said, was in part fuelled by hate speech and some counter-terrorism measures. 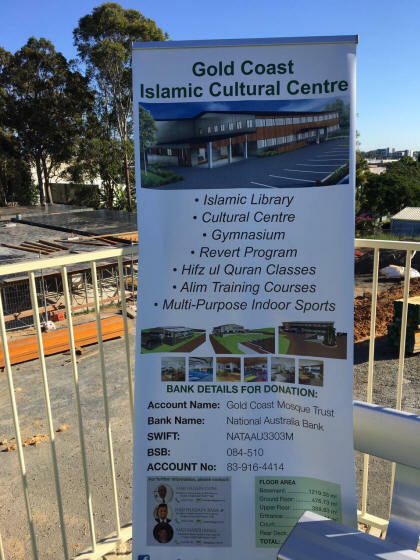 The New South Wales education minister, Rob Stokes, has urged school principals to throw anti-Islamic letters from One Nation in the nearest recycling bin, saying �perhaps then some good may still come from it�. 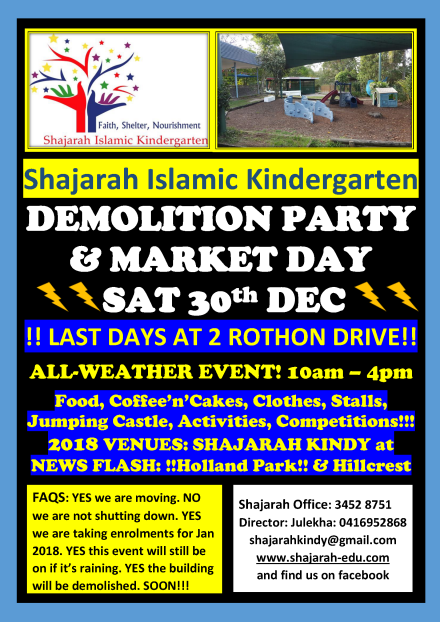 Stokes is the latest to denounce One Nation senator Brian Burston for letters he sent to NSW schools last week, warning principals their children risked becoming �terror-endorsing Islamists� whose religion required the killing of westerners. 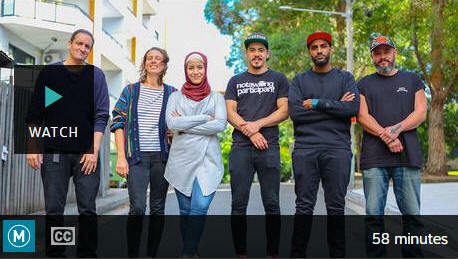 The letters, obtained by Guardian Australia, drew immediate condemnation for their wild inaccuracies, divisiveness and tendency to incite hatred against Muslims. Stokes condemned Burston�s letter as �hate mail�. He said it ran contrary to two hallmarks of western liberal civilisation Burston purported to protect: tolerance and inclusion. Burston�s letter claims Islam is incompatible with the Australian way of life, and attaches a brochure titled Islam Exposed. The security and intelligence expert John Blaxland warned the letter would simply serve to fuel the messages of Islamic State and help the terror group�s recruitment efforts. 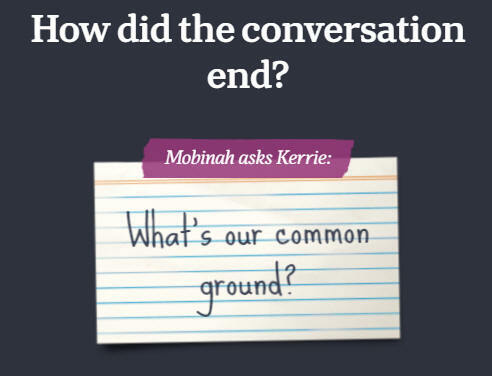 The letter came to the attention of the NSW Greens MP Mehreen Faruqi last week. She has now written to the Australian Human Rights Commission requesting an investigation. �The letter is divisive and offensive and has no place in our communities and schools,� Faruqi wrote. The letter used the Senate letterhead. No reference to One Nation was made. 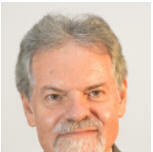 Stokes said the letter was a waste of taxpayer funds, and would not help to deradicalise students. �The best way to suppress the potential for extremism is not to divide us, but to promote the Australian values we all share,� he said. 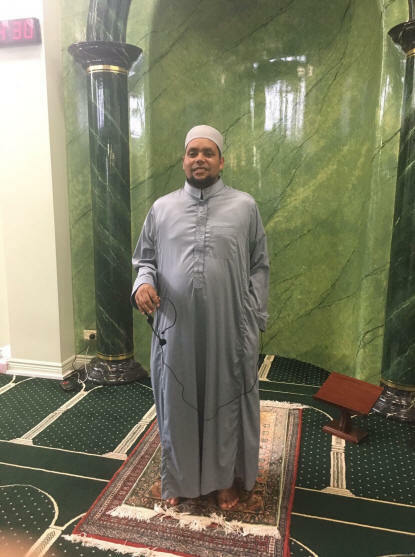 Sheikh Mohamed Ali Abdalla AbdelKader has joined the Gold Coast Mosque at its Interim Imam. Sheikh Mohamed graduated from the Faculty of Quran and Science at the Al-Azhar University in Cairo, Egypt. He has been conducting Taraweeh prayers in Sydney for over 8 years. 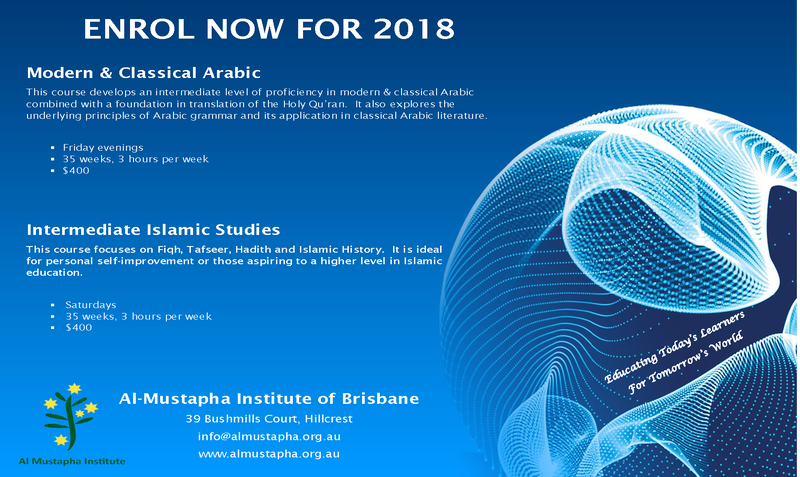 The Sheikh has lived in Australia permanently for the past 3 years, residing on the Gold Coast with his wife and 2 children over the past year. 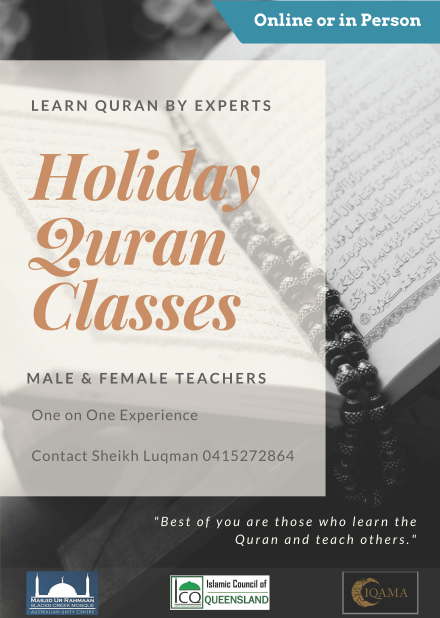 Sheikh Mohamed Ali has been teaching Quran and Arabic since 2007, having published his own book on Tajweed. 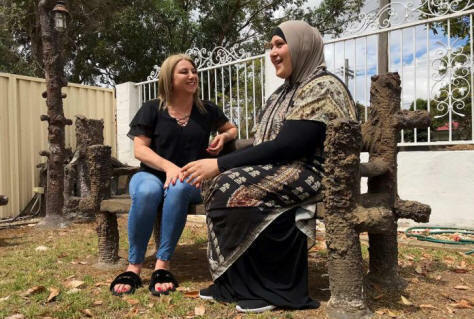 The day Rima Waizani's husband came home describing the poor state one of his mates was living in was the day she knew she could be doing something more to help others. There was barely any food in his mate's house, and his nine children were surviving on dry biscuits. "That whole night I was thinking there's got to be something that we could do," Ms Waizani says. She put up a post on her Facebook page to see if anyone could donate food, and within two days her house was flooded with groceries. Reflecting back, it was that one act of kindness which led to a full-time career in volunteering. "I loved it. That's when I really got into it," Ms Waizani says. "It's not as hard as people think it is. It's very time consuming, 100 per cent. But if you can help, help." Rima Waizani with fellow volunteer and good friend Rana Akkiuch Taha, who both do community work for CC Community Kitchen. 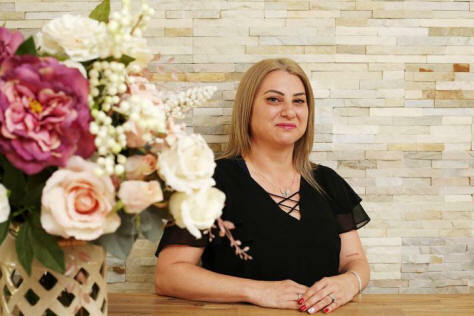 Ms Waizani has won Volunteer of the Year at the Australian Muslim Achievement Awards, which recognises dedicated individuals and organisations who have excelled in various areas within Australian society. "I love doing what I do. I feel I've been put on this Earth for a purpose. I feel like it's a duty, like I have to help," she says. 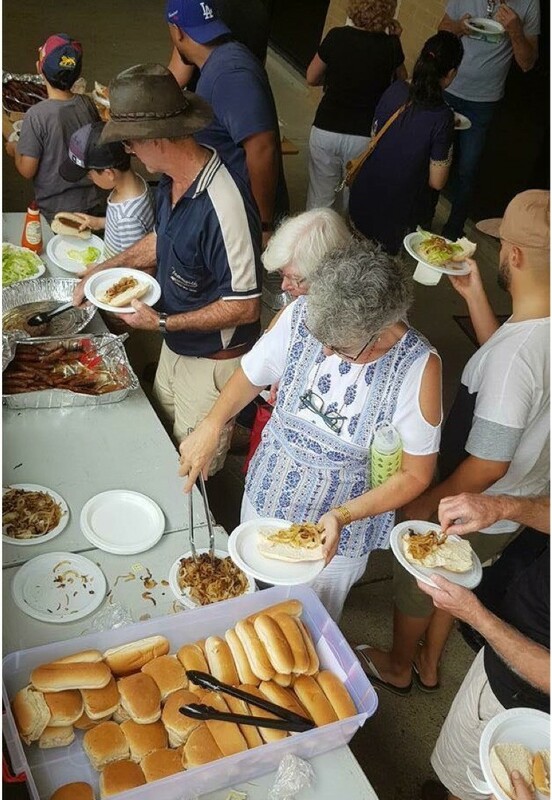 Her work over the past two-and-a-half years with CC Community Kitchen has helped hundreds of asylum seekers, refugees, domestic violence victims and people doing it tough, by providing food, clothing and furniture. "The community needs to help each other," Ms Waizani says. "Our organisation helps anyone in need. We don't differ any nationalities, colour, race, religion. We've helped people from every kind of background and religion. 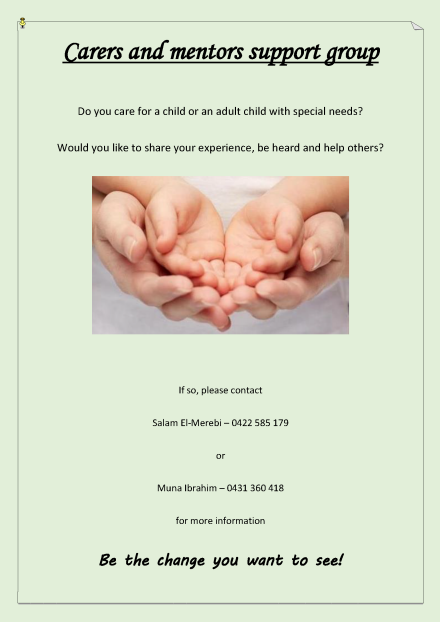 If you need help, we help." She believes the biggest problem within the community is the cost of rent in the major cities. "Rent in Sydney is too high, they've got to do something about that. It's a big issue in our country," she says. Rima feels she has been put on Earth to help others. Being a positive Muslim role model is extremely important to Ms Waizani and she is thrilled with her award, but says tomorrow things will carry on as usual. "It's nice to be recognised and I thank all my supporters, but it's not going to change anything. I'll keep doing what I do. I don't do it to be awarded for it," Ms Waizani says. "I do it because I love doing it." 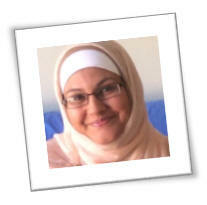 Fellow volunteer and good friend Rana Akkiuch Taha says she is really deserving of the accolade. "She's done a lot of hard work this year. We're all really, really happy for her," Ms Akkiuch Taha says. "Having the word out there and having peoples' trust is so big. "With or without [the award] she's still a winner." 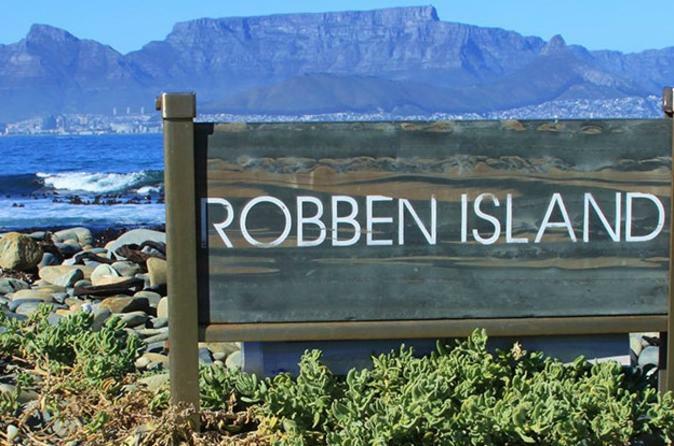 In 1658, the first �free� group of Muslims, the Amboyna Mardykers, arrived in the Cape to provide labour, and to bolster VOC numbers against the indigenous Khoi pastoralists, justifiably resistant to enslavement. The Statute of India prohibited the Mardykers from openly practising Islam. The Mardykers, seen as company mercenaries, have left few historical footprints. On the other hand, �free blacks� � freed slaves � would provide covert support to the runaway slave communities � some of whom would coalesce around Sufi teachers hiding in the forests and mountains around Cape Town. In 1694, a spiritual giant, Shaykh Yusuf, arrived. Born in Makasar in 1626, he was a maternal nephew of the ruler of Goa, Sultan Alauddin. In 1644, Shaykh Yusuf left for Hajj, and remained in the Middle East to study. Regarded as the crown of the Khalwatiyyah Sufi Order, Shaykh Yusuf was called the �Jawi Shaykh� in Makkah. When he returned after 20 years, the VOC had over-run Makasar. Shaykh Yusuf entered the court of Sultan Ageng in Bantam as a Qadi. Dutch forces attacked Bantam in 1683, and Shaykh Yusuf was forced flee into the jungle. He was detained in 1684, and banished to Sri Lanka. Regarded as a living saint, the King of Goa petitioned for Shaykh Yusuf�s release. Fearing his influence, the VOC banished Shaykh Yusuf to the Cape. 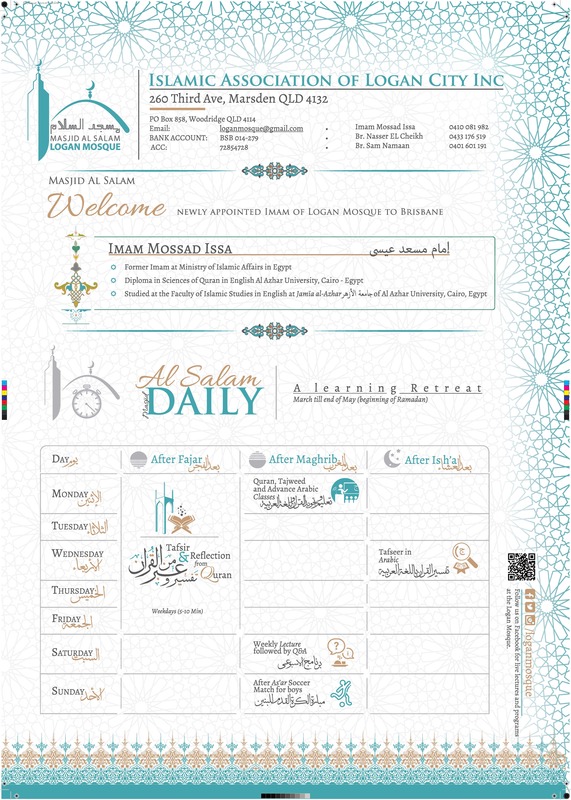 Shaykh Yusuf�s writings, of which there are over 20 extant manuscripts, reveal an Ibn �Arabi influence. Of interest is that while Shaykh Yusuf is hailed as a great mujahid, none of his works discuss jihad, or express resentment against his persecutors. He passed on in 1699, and his remains were taken back to the Far East. His iconic shrine, a domed mausoleum, was built in 1927. 3. 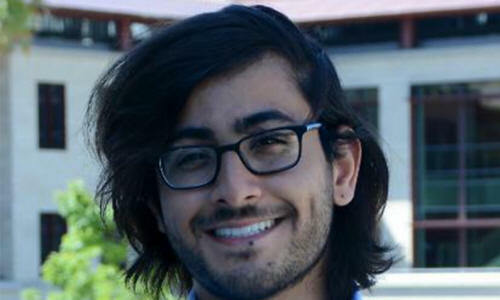 S. Zayd Enam, 25, who dropped out of high school to start Mediconnect, "a healthcare provider platform in Pakistan", also later dropped out of his PhD program at Stanford University and founded Cresta.ai ─ a startup that aims to scale and improve the quality of customer services. CONTINUED FROM LAST WEEK'S CCN. In short, yes, there was common ground � and some mutual respect too. 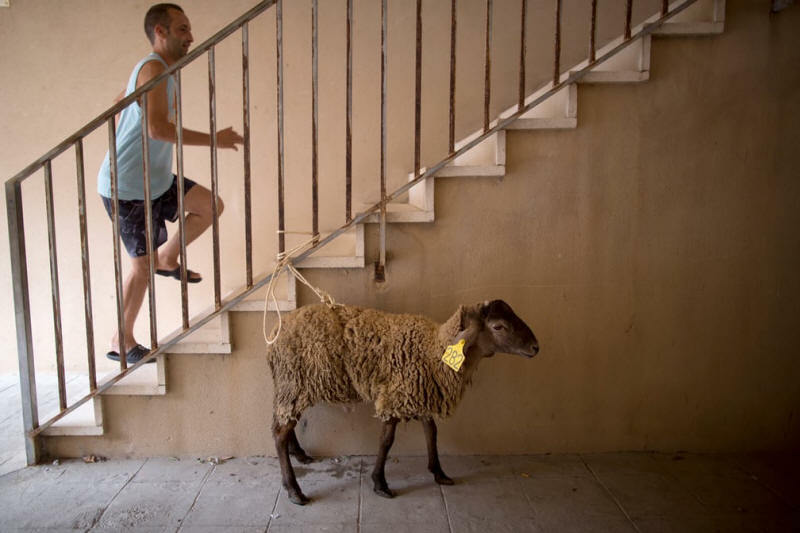 A sacrificial lamb tied to a staircase. Indonesia, the Muslim world�s largest democracy, contradicts One Nation�s website that �Islam is incompatible with democracy.� Indonesia protects minorities and religious freedoms in its pluralistic Pancasila system adopted by 260 million people of whom 88 percent are Muslims. During my first 1971 visit I was welcomed with open arms and provided great hospitality even by poor households � which promoted my personal acceptance of Islam. Our defence planners should recognise Indonesia�s critical importance to our national security. Indonesia represents an effective buffer to Chinese expansionist aims towards Australia. Given the extent of zionist influence over US foreign engagements and existence of a Singapore-Israeli-US axis, the Australian base threatens peaceful engagement with Muslim Indonesia and Malaysia. Indeed, under Gillard�s watch Australia provided blind support for Israel and its illegal settlements. The misguided view among many that Indonesia threatens Australia�s security is belied by the peaceful relations (including Makassan-Aboriginal relations) and lack of territorial claims over any part of Australia in over 500 years. Australians shouldn�t worry that Indonesia is experiencing �Islamisation�. With the fall of Sukarno and Suharto secular regimes and weakening of Javanese kratonic influence, Indonesian Muslims were free to follow their keen desire for democracy and true Islam. Islamic renaissance has seen the spread of Islamic teachings with increased evidence of women in hijab, TV Islamic programs, mosque attendance, religious study circles � and opposition to Ahok�s Jakarta governorial campaign. 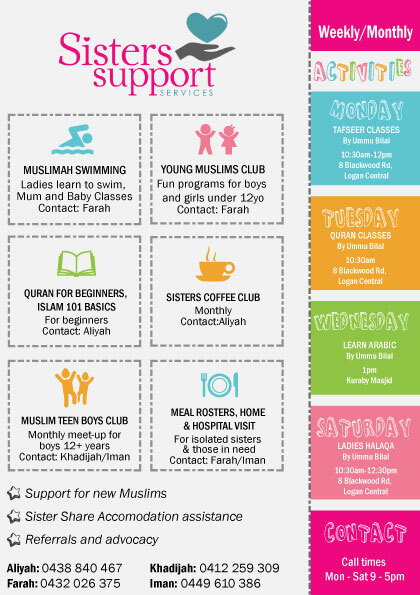 Formerly dominant �abangan� (nominal) Muslims are becoming practising Muslims. Spreading urban Sufism counters Salafist extremism. 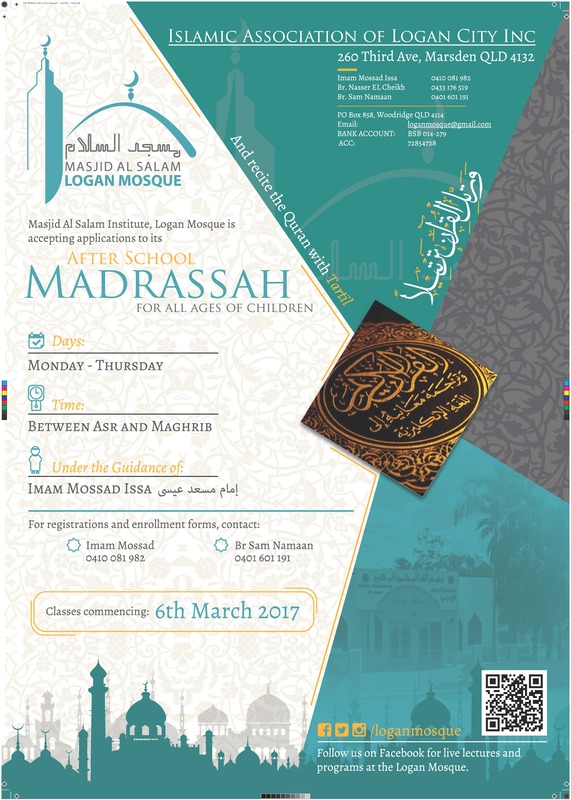 Muslims are increasingly concerned with overseas-funded �Christianisation� programs directed towards converting poor Muslims. Another concern is excessive influence that Singapore and its merchants and Indonesian associates have over the Indonesian economy and government parties, especially at election times. The rise of �radical� Muslim elements in Indonesia, an otherwise moderate Muslim society, is consequent on harsh American retaliation following the 9/11 attacks with military invasions, destruction and massive loss of lives and resultant refugees in Muslim countries. A well-known Australian journalist commented though that the overwhelming majority of Indonesians do not believe Islamic State or al-Qa�ida represents real Islam. 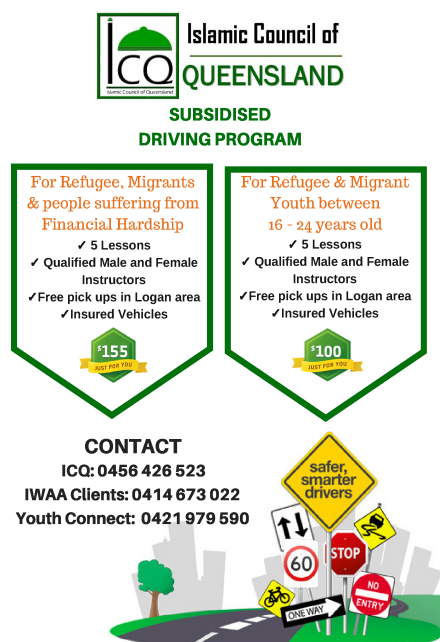 To Australia�s credit following the Bali bombings $167 million was provided for Islamic sector assistance especially for schools in an enlightened effort to support moderate mainstream Islamic movements. Oh, how I long for the days when I didn�t have to ask if food was halal in a hushed voice. No, halal food is not a religious tax. 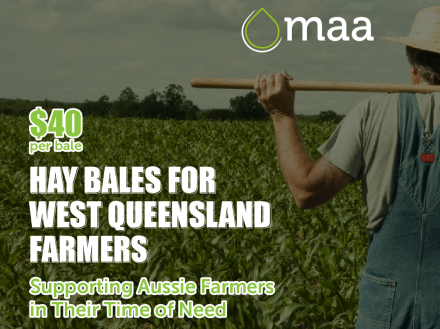 The cost of halal certification is negligible and its overall purpose is no different than organic food or free-range egg certifications- to cater to a section of the market that has particular dietary requirements or expectations. If you want an example of benign terms being twisted for fear mongering and political purposes, you won�t find an example better than this. In fact, this became so absurd that a senate committee formed to investigate third-party certification of food looked into any links between halal certification and funding of terrorism as part of its report. Unsurprisingly, finding nothing of note. If you want more information about this mysterious term, the Australian government actually has a decent page devoted to it. How common is heart attack in the Indian subcontinent? Unfortunately, coronary artery disease (CAD) in the Indian subcontinent is quite prevalent in relatively young age. Usually they don�t get focal coronary (artery supplying blood to the heart) stenosis. They generally have diffuse coronary artery disease which is very difficult to treat. (atherogenic bad cholesterol) levels are similar to whites, HDL (cardio-protective good cholesterol) levels are lower, triglyceride (TG) levels are higher and other lipoproteins such as lipoprotein (a) are also higher. Aggressive statin therapy can significantly lower LDL levels, modestly decrease TG and elevate HDL cholesterol and thereby stabilize atherosclerotic plaques. I was reflecting over this devastating event. 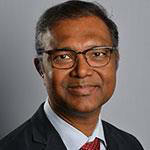 I am probably like many of my friends and relatives from the Indian subcontinent who may not have traditional risk factor for a coronary artery disease yet we are at very high risk of premature heart attack and sudden cardiac death which is in many cases quite preventable by smoking cessation, active healthy lifestyle and diet. 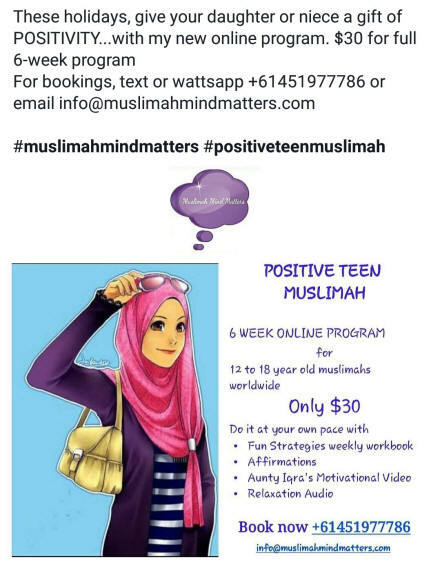 Quite often, many may undermine the gravity of kind treatment one must offer to his or her spouse, completely neglecting its importance in one�s life..
"Being a young Muslim female Australian, I have been on the receiving end of many hurtful discriminatory comments. This hate was has been perpetuated by US president Donald Trump who retweeted anti-muslim propaganda, with a 78% increase in hate crimes against Muslims in the US in 2017. 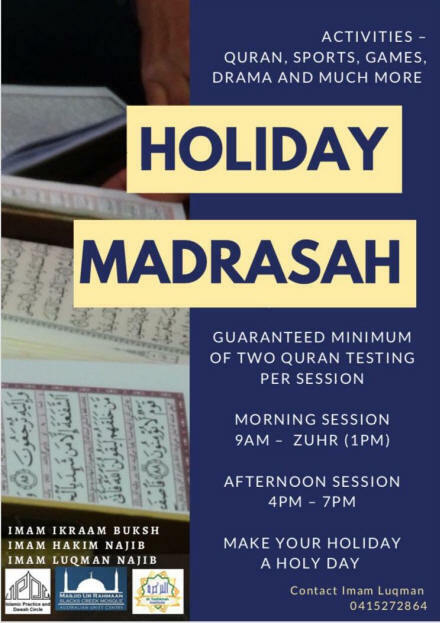 What do you believe is an appropriate response both individually and as government bodies to the President's constant spreading of racist and Islamophobic messages?" Syrian boy impresses judges by reciting the Qur'aan in a talent competition. 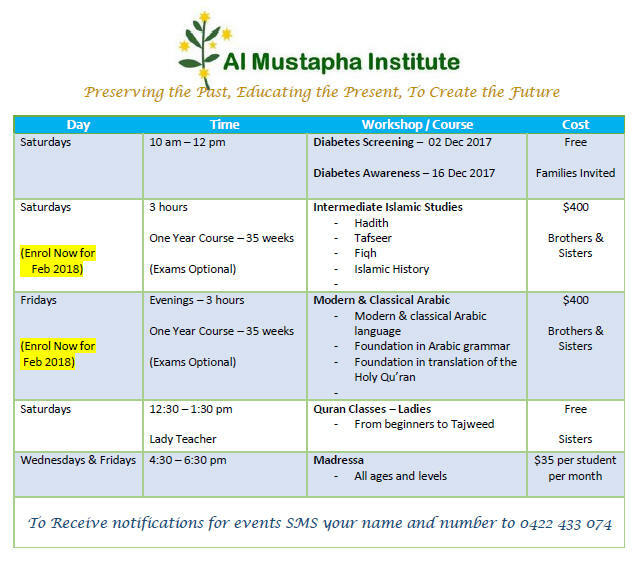 TOPIC: "Educating Our Next Generation"
TOPIC: "Importance of Almasjid al-Aqsaa according to Muslims"
Summary by Mohideen: Mufti Naeem spoke about this life and Allah�s promise of Jannah if one fulfils the commandments of Allah and follow the sunnah of our prophet (pbuh). He said how Angels will ask the people in the grave as to who they envy in the living world and they will respond by saying they envy the people who are praying in the Masjid. He reminded how it is a sunnah to recite Surah Al-Kahf in the day of Jumma. He told a story of how a person saw a dream of a late Shaikh who taught hadith all his life and he asked him if Allah rewarded for his deeds and the Shaikh responded by saying how Allah forgave for a small Amal he did by letting a fly drink. Mufti said how even the smallest Amal will benefit and therefore one must not ignore small Amal�s and these Amal�s must be done consistently and sincerely and not for showing off. He said how no one will live in this world forever and a day will come when a person will depart and this applies to the prophet (pbuh) too even though he deserves to live forever. 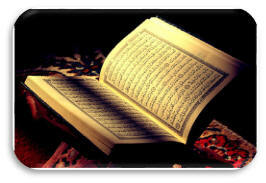 He concluded by advising how to refresh one�s emaan. 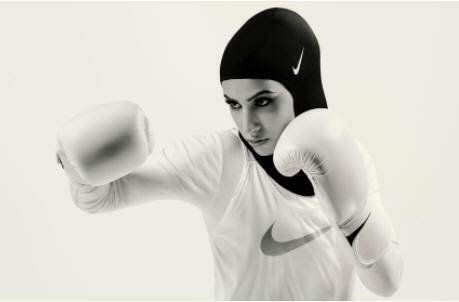 Earlier this year, Nike announced it was in the process of developing a high-performance hijab for Muslim women athletes. 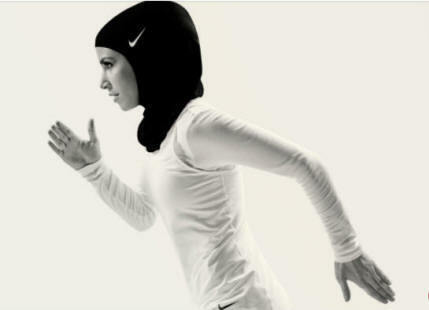 The sportswear brand originally planned to launch the Nike Pro Hijab in spring 2018 � but it looks like it will land in customers� hands sooner than originally planned. 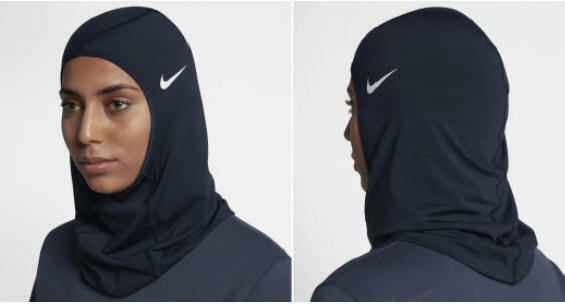 Starting on December 1st, select retailers in North America, Europe, North Africa and the Middle East began carrying the pull-on Pro Hijab, and it will hit nike.com in January (you can sign up online to receive a notification when it becomes available). 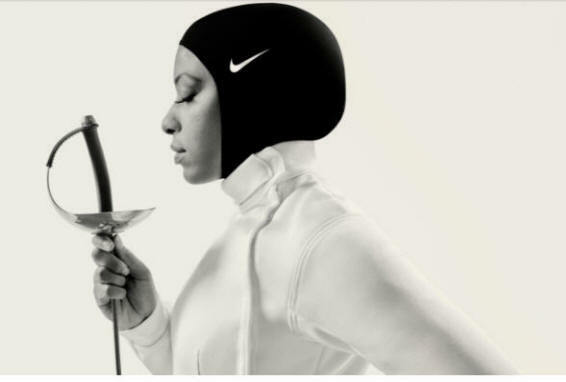 Nike tapped German boxer Zeina Nassar, champion fencer Ibtihaj Muhammad, Emirati figure skater Zahra Lari and Emirati weightlifter Amna Al Haddad to not only star in the campaign, but also provide valuable feedback about the product�s functionality during its development. McDonald's has apologised after a student filmed her unpleasant experience at a London restaurant. UK: A British Muslim woman has claimed she was stopped from entering a McDonald's because she was wearing a hijab. 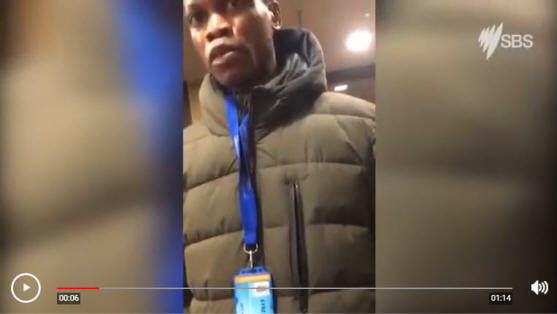 In an unverified video posted on Twitter, the 19-year-old student is seen trying to enter a McDonald's restaurant in Holloway, North London, when she is stopped by a security guard. The woman asks the security guard: "Why can't I come into McDonald's? Because I'm wearing a hijab? Can you please say it?" The security guard says: "It is just a matter of taking it off." The woman responds: "It's not just a matter of taking it off. I wear this for religious reasons and I'm not ashamed of it, and I will stand in line and I will get the food I want because this isn't okay." After protesting she has not had any trouble with other local stores while wearing her hijab, a man in the McDonald's intervenes. "You can't stop her from coming in here," he says. The 19-year-old claims in the video it is the first time she had faced such discrimination. After being asked what she would like to order, the woman says she does not want anything and leaves the restaurant. The woman, who asked not to be named, spoke to The Guardian about the confrontation. �The friend I was with was shocked and scared and said it was a risky situation. When it was over, I finally realised how these situations can become dangerous. This is not a one-off thing," she said. "I will never walk into a McDonald's again." A McDonald's spokesperson told The Guardian it "does not have a policy in place which restricts or prevents anyone wearing a hijab, or any other religious dress, from entering". "We welcome customers of all faiths and would like to apologise to the customer as this situation should not have taken place. We are taking this matter extremely seriously and are addressing this with the individuals involved," she added. The Muslim community that is portrayed to the West is a misogynist�s playground; within the Muslim community, feminism is often regarded with sneering hostility. Yet between those two views there is a group of Muslim women many do not believe exists: a diverse bunch who fight sexism from within, as committed to the fight as they are to their faith. 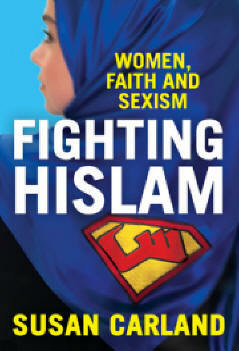 Hemmed in by Islamophobia and sexism, they fight against sexism with their minds, words and bodies. Often, their biggest weapon is their religion. KB says: Another great idea for a summer�s day lunch. Add � cup milk to make a soft scone like dough. Pat down the dough (you may need to wet your hands) onto a rectangle or circular oven tray which has been greased or lined with baking paper and blind bake for 10 mins in a pre-heated oven of 180deg. Step 2 � Mix the ingredients below and place on one above. Garnish the top with cherry tomatoes and sprigs of rosemary or slivered almonds or finely diced green peppers. 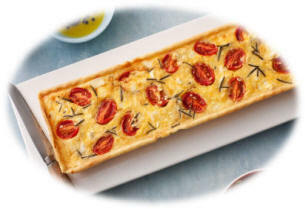 Bake in a pre-heated oven of 180degrees until the quiche is light brown. Cut into squares and serve warm with a salad. Cook until no moisture is left and when cool, shred the chicken using your fingers. You could make the chicken in advance. No matter where you are right now and what circumstances you have been through, remember this very important truth about yourself: You are a pure soul temporarily dwelling in a physical body. The moment you had consciousness of your existence, you began perceiving the world through your five senses of sight, smell, hearing, touch and taste. 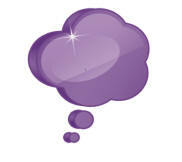 You also perceive the world with your intuitive abilities, such as having a �gut feeling� about something. All your experiences are stored in your body and mind and you have the ability to replay them on your mental screen as though it is a movie. The more you play a certain memory over and over in the cinema of your mind, the more you begin to identify yourself with that experience. When you have an unpleasant experience, you tend to play that in your mind and dwell on it. Sometimes, you may even believe the negative words that someone says about you. 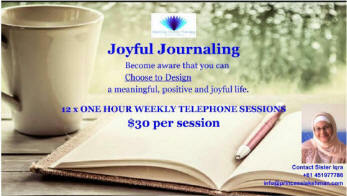 Whatever experiences your body is having, you begin to use them to identify yourself (your soul). Understand that you are not your experiences. Your experiences do not define you or identify you. Experiences are there to show you exactly how you are travelling in life. If the experience is positive, it tells you that you�re on the right track and to keep doing what you�re doing. If the experience is negative, it tells you that you need to re-evaluate your behaviours and beliefs and make necessary changes. Experiences occur as a result of your beliefs and behaviours, meaning that you have the power to create positive experiences if you choose to do so with the free will that ALLAH has you blessed you. When you take ownership of your experiences and use them as lessons in order to pass the tests of life, you become empowered. But when you use your experiences to control you and define you in every situation, you become a victim. Experiences will continue to play like a movie in the cinema of your mind. Choose to be the the hero of your film, not a victim. Use this affirmation daily to remind yourself that you are a pure being. sleeping habits but also impacting on my workouts. 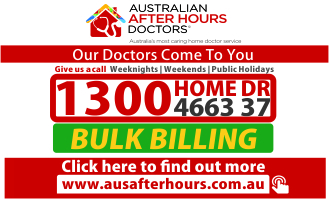 What can I try for a better night�s sleep and relieve stress? A: While it may not be easy, you have to find a way to make it work for you. Your body clock will be a bit muddled and you may not be able to exercise efficiently, but try to get some consistency into your sleeping and exercise routine and you�ll feel a whole lot better. Try to exercise before your shift whenever possible. High-intensity workouts will give you a boost � so really challenge yourself at the �start� of your day. Don�t exercise too close to bedtime - and lower-intensity activities are better after your shift. Try some yoga or gentle stretching in the latter part of your day. This will help with stress relieve and also winding the body down after a busy shift. Healthy habits � Nourishing your body with a healthy diet and staying hydrated is key. Jallalludin and his wife were shopping for Eid. The shopping centre was packed, and as Mrs Jallalludin walked through one of the malls she was surprised when she looked around to find that her husband was nowhere to be seen. She was quite upset because they had a lot to do and she became so worried that she called him on her mobile phone to ask him where he was. In a quiet voice he said, "Do you remember the jewellers we went into about five years ago where you fell in love with that diamond necklace that we couldn't afford, and I told you that I would get it for you one day?" Jallalludin replied, "Well, I'm in the kebab shop next door." When you encounter those who gossip about Our revelations, turn away from them, until they engage in another topic. But should Satan make you forget, do not sit after the recollection with the wicked people.